Is a career in Sales and Service a good fit for me? A career in sales and service will appeal to those who have a genuine interest and curiosity about people. Salary in these occupations is often tied to performance so self-confidence is a key ingredient for success. Sales people must be part of a team but able to make independent decisions every day. They are responsible for meeting the needs of clients and customers while adhering to the operating standards of the employer. Often this requires outside the box thinking mixed with compassion and empathy. Sales and service personnel must have a thick skin and be able to handle rejection because not everyone will be willing to commit to their product or service. The ability to quickly move past negative moments in search of the next positive one is essential. Sales and service occupations often have a clear ladder to climb in which a person can take on more responsibility as they gain experience. There are often opportunities to improve their position within the field they have chosen. Many people in the sales and service industry encounter something or someone new every day and must always be ready for any happenstance. It is an invigorating and challenging field. There are a great many sales and service positions so there is, naturally, many paths to take to get there. Employees will have a range of educational backgrounds, some will have university or college educations while others may have gone to work directly from high school. The educational requirements will vary and in the service industry training and upgrading will be part of the work life. Often in sales and service experience counts for a lot. Beginning at a position and climbing the ladder is a common practice in many sales and service situations. Once you have demonstrated your capabilities and are seen to have gained experience then you are more likely to have a larger financial remuneration and greater responsibility. Communication Skills- If you aren’t a good communicator, then customer service may not be the field for you. Customer service jobs require that you deal heavily with the public. Superior communication skills are essential to success in the Sales and Service Industry. Thinking- Almost every job posting required critical thinking. Specific items mentioned include: problem solving, and decision making. Working with Others- If you can’t be a team player, you are not going to find the best customer service job. Good customer service takes team work. Working well with others is an essential skill for being successful. Numeracy- The ability to use numbers is a must in sales and service. Some uses in the industry include being able to manage sales targets and quotas, process payments and make change, and compare revenue with sales records. Computer Use- Employees in sales and service are often required to use technology such as computers or cash registers. 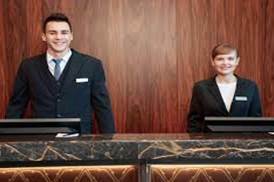 This skill type category contains sales occupations, personal services and security service occupations, and occupations related to the hospitality and tourism industries. When conducting labour market research in areas where occupations are defined by a 4 digit NOC (National Occupational Classification) code, the first digit of the code for all Sales & Service occupations is 6. To secure a position in Sales and Service you will need to highlight the skills that employers are looking for from their employees. The previous section on skills will help you recognize the most sought after skills. If there are areas you feel you need to work on, it would be a good idea to practice. Tell me about a time you had to deal with an irate customer, how did you handle it? What was the outcome? What kind of goals motivate you the best? Want to connect people with the products they need?